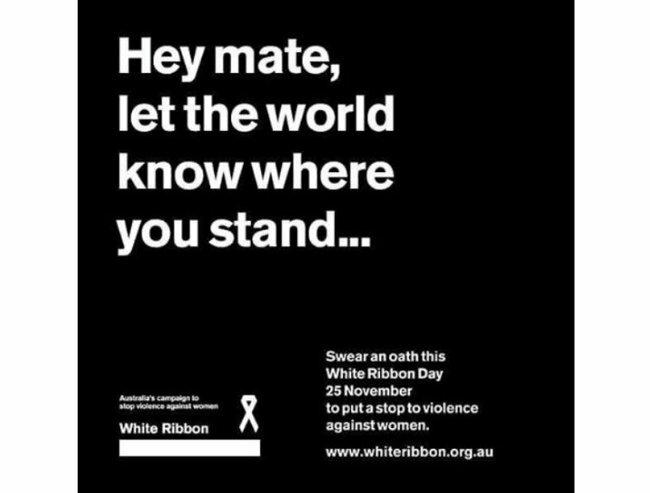 White Ribbon Day is important but action is important too. We can't just "raise awareness" about DV. We must take action. Yesterday hundreds and thousands of Australian men and women, girls and boys took a pledge. In schools, in workplaces, in parliaments, in community halls, on the streets. They marched. They sang. They made and listened to speeches. They wore, formed, etched and hung ribbons. In a myriad of ways, they marked the 12th annual White Ribbon Day, in the name of stamping out violence against women. They swore not to commit, condone or remain silent about domestic violence. And while that happened, the horror continued. 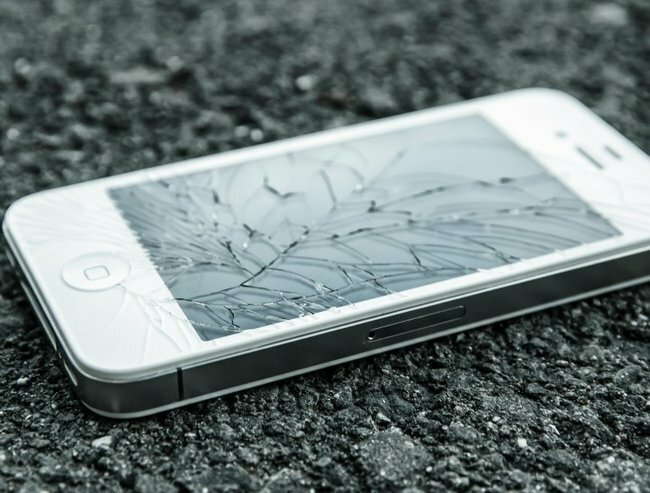 The police were still responding to 657 domestic violence calls a day. Emergency departments were admitting victims and courts were processing AVOs. Police were prosecuting accused perpetrators, refuges were making agonising decisions about which women could be admitted, the coroner was counting deaths and children were living in fear. Last night more than 600,000 Australians tuned in for the second part of Sarah Ferguson’s documentary Hitting Home and afterwards the ABC screened a special Q&A hosted by Julia Baird on the topic. In devastating detail these shows covered lives lost and irrevocably marred by intimate violence. And it made one thing crystal clear: none of the things that will save women’s lives and stop domestic violence are free. Raising awareness is critical but not if we don’t have services to help victims – women and children – who become aware of the danger they are in. As Jane Caro put it, telling women they don’t have to live with violence but failing to provide them with a means to leave safely is another form of abuse. Apprehended violence orders are important but not when they aren’t enforced. A national DV helpline is vital but not when phone calls go unanswered. Crisis accommodation saves lives, but not when they are at capacity and women are turned away. A forensic medical unit dedicated to supporting victims and securing DV convictions is brilliant but not when there is only one in the whole country. Men’s behavioural change programs are potentially valuable and effective but not when they run for half the time of best practice programs. Awareness raising and investing in frontline services are not mutually exclusive objectives. Both matter but yesterday made clear, one is flourishing while the other is floundering. 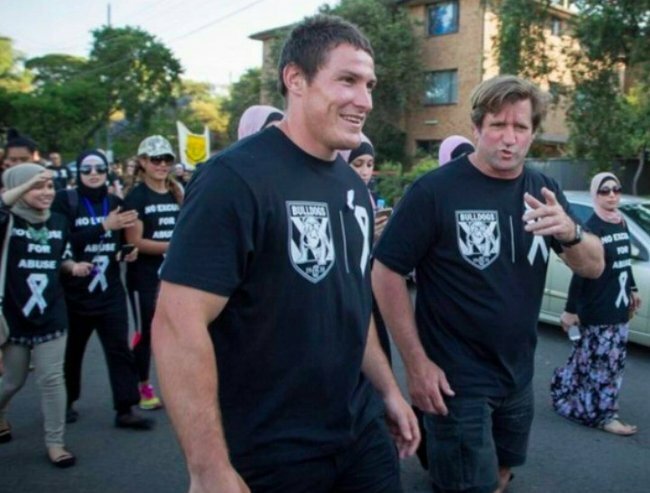 White Ribbon was borne out of horror. On the 6th of December 1989, a man walked into a university in Montreal and killed 14 of his female classmates. Two years later, a handful of men in Toronto decided they had a responsibility to speak out about and work to stop men’s violence against women. The White Ribbon Campaign in Canada became an annual awareness-raising event as a result, held between 25 November and 6 December. In 2003 UN Women brought the male led campaign to Australia and 12 years on it is an iconic and prolific fixture in the national calendar. 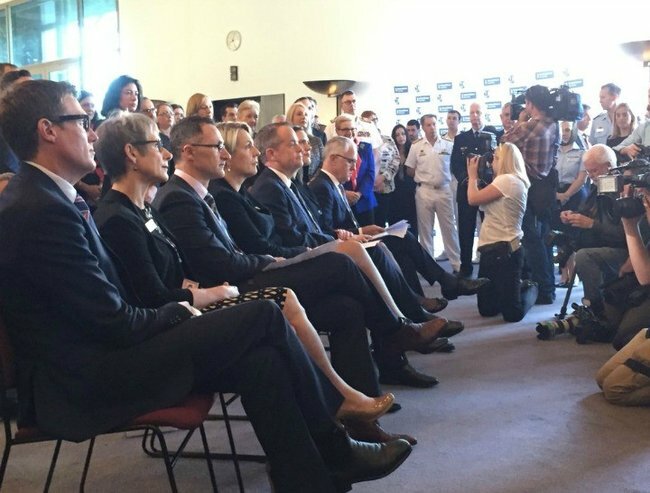 White Ribbon challenges the silence and secrecy surround domestic violence. It calls on Australians – young and old – to lift the veil on this violence and speak up. It gives Australians who despair about this curse an outlet. It gives us reason to feel we are helping. White Ribbon Day march. Image via Instagram. By wearing that ribbon, by marching the streets, by attending that breakfast, by sharing that meme, we feel we are doing something to stem the toll. We are taking our own stand against violence. And we are. We are spreading a message that needs to be spread. We are putting language around control and violence that didn’t previously exist. We are educating kids about what domestic violence is and why it isn’t ok. We are encouraging men to seek help, speak to their friends and intervene. By participating in White Ribbon we are ensuring the ongoing awareness of this plague. But awareness alone is not enough. Awareness alone isn’t the solution. We need action too. We need more awareness and more action. If awareness-raising comes at the expense of action that is no victory.